This is a copy of the Compass Point e-Newsletter. You can subscribe to receive these in your email inbox. A reminder to all 2018 National Champions to please bring your ONZ trophies to this years National Championships in Oamaru. We are also putting a call out to previous winners who may still have a trophy, we need these back please. If you are unable to attend in person, we would appreciate it if you can arrange for your trophy to be delivered on your behalf. Don’t forget to get your name engraved on the trophy before you return it. Hi all, I’m looking forward to seeing a great turnout and lots of new and familiar faces in Oamaru in a couple of weeks. From the hints I’ve heard from the PAPO crew, this is going to be an excellent few days of orienteering at Nationals, followed by some interesting looking events in Queenstown and Wanaka. Travel safely everyone. Don’t forget the club forum from 5-6.30-pm on Friday the 19th. ONZ will be updating members on a couple of initiatives that we have underway, namely the online membership database and the Major Event Management review. The discussion paper on the Major Event review is online here and we welcome your feedback. The forum will also include information from a couple of clubs on ideas for improving efficiency for some online activities, and, time permitting, an open forum for clubs to share ideas. The ONZ AGM will be held after the dinner that evening. And whilst on the subject of consultation, Council regularly reviews its policies and asks for member feedback on these policies at the time of review. We advertise these consultations in CompassPoint. Currently we have a group of polices related to Council structure and process for review, and also a review of the make-up of the Southern Cross challenge squad that travels to Australia each year to contest the secondary schools Southern Cross trophy. Your feedback on these policies is welcome, see the details here. Feedback is requested by 12 April. The AGM will be held after the Club Forum and Dinner. There will be a break for dinner between the Club Forum and AGM. Those who are not staying onsite, but wish to join everyone for dinner on 19 April can purchase a dinner ticket on EnterO. JWOC Trails were held in Auckland, hosted by CMOC, over the last weekend in March. 19 female and 23 male orienteers put themselves forward for consideration for the 2019 JWOC. Upcoming events include the National Championships which is also a selection event for WOC and JWOC. ONZ is seeking your feedback on the following. If you have any feedback on the Council Policies or Southern Cross Team, please email gm@orienteering.org.nz by Friday 12 April 2019. The full discussion paper on this proposal will be available shortly on the ONZ website. Information on feedback deadlines will be included in this document, but we do plan to discuss this further at the Clubs Forum on Friday 19 April 2019. Two videos ONSW commissioned from the 2017 Aus champs in Bathurst and Hill End. The first one is a general carnival one, the second one is from the three schools champs events. Some nice cameos of our NZL orienteers. The three Auckland clubs (Counties-Manukau, North-West and Auckland), via the Auckland inter-club juniors/schools working group, would like to receive an Expression of Interest from people with expertise in web design and integration of on-line information who would be interested in producing an online schools/juniors orienteering resource. 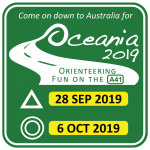 To expand and restructure the information available for junior/school orienteers in the Auckland region and their supporters (parents, teachers-in-charge, school sports administrators) to produce an integrated, easy-to-use online presence across the existing club websites and ONZ. We are aiming to integrate across existing club websites and social media presences, (rather than create a new one), so that a user can easily locate relevant information regardless of their starting point. The target audience will be newcomers to the orienteering community. The ultimate aim is to smooth the transition from initial contact with school-based orienteering through into full club participation, for students and their families. The initial focus will be on Auckland regional information, but there is the potential for this work to form the basis for adaptation for use in other regions. The provider is not required to be an expert orienteer or to develop content as such. We have that expertise – what we are looking for is the capability to work alongside us to make this a high quality user-friendly on-line information experience. Flexibility and future-proofing will be important project criteria. We would like to see examples of prior work as part of the selection process. The working group has some funding available for this project via the post-WMOC ATEED grant, so remuneration is negotiable. We do not expect this to be done on a voluntary basis. We are open to receiving recommendations or referrals to potential providers outside the direct orienteering community. This version includes the corrections to ISOM which were communicated in November 2018. Previously these corrections were found in a separate document but are now fully integrated into the Specification document. After more than 200 meetings with people interested in education, the Independent Taskforce reported its findings to the Minister of Education in November 2018. 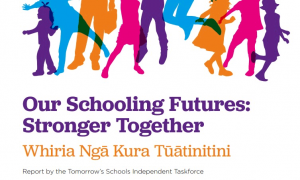 Their report: Our Schooling Futures, Stronger Together l Whiria Ngā Kura Tūātinitini has now been released for public consultation. The report covers eight key issues: Governance; Schooling Provision; Competition and Choice; Disability and Learning Support; Teaching; Leadership; Resourcing; and Central Government Agencies. You can now review a summary of recommendations (PDF 1.9MB). Club and traditional membership is changing, and for sports and recreation organisations there is a critical need to understand what can be done to keep people engaged. Sport NZ’s club experience survey has been developed for NSOs to understand club level player experiences and how they might adapt to meet people’s changing needs. When people have a better club experience they are more likely to continue to play, and advocate for the club. While the results of each sport are different, we’re starting to see strong national trends around the drivers of club membership. We’ve been hearing for some time how hard it is for providers of activities in remote areas to get the right kind of help in an emergency situation. Dialling 111 isn’t always feasible and activating the right part of the 111 system isn’t always as simple as it seems. These new good practice guidelines (PDF 232KB) will help you know what to do. The guidelines have been produced by New Zealand Search and Rescue with the assistance of Recreation Aotearoa and in consultation with NZ Police, Ambulance Services, the Rescue Coordination Centre NZ, TIA and a variety of activity providers. 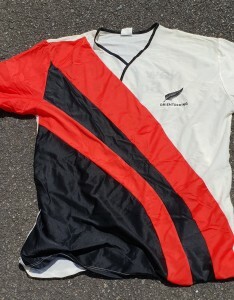 ONZ is selling the old NZSS Schools Team Uniforms to fundraise for future school team costs. For those of you who once proudly wore a NZSS race top or tracksuit, here’s your opportunity to now purchase one for posterity!! 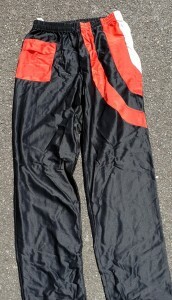 All these uniforms are well worn and are used condition. 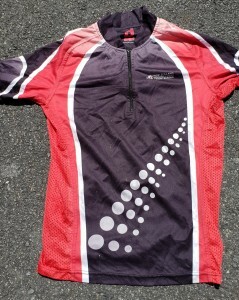 Sizes unknown and stock is limited, so it will be on a first in – first served basis is you want specific sizings. 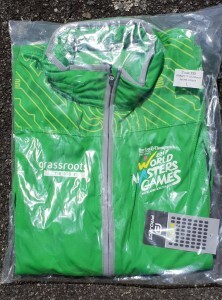 ONZ has spare unopened World Masters Games Uniforms for any volunteers who were at the Games and would like some more kit for free. Not sure about sizes, so again, first in best dressed in green! 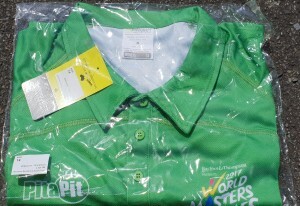 email gm@orienteering.org.nz with your postal details and we will send them out to you.